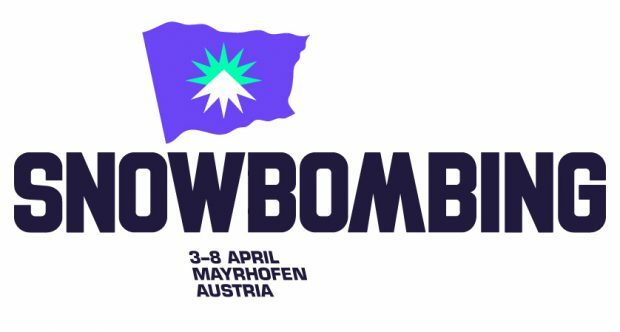 Snowbombing, Austria is back for it’s 19th year, bigger and better than ever! Today an abundance of absolutely massive names have been added to next year’s unmissable party in the snow. Rock ‘n’ roll legend and an unmistakable icon of music history, Liam Gallagher will be bringing his highly anticipated solo performance to Snowbombing 2018. One of the most recognised figures in British music, his show will be an attitude filled performance fuelled with Oasis classics, as well as what we can only predict to be certified bangers from his upcoming record – ‘As You Were’ – out October 6th! Fellow headliners Pendulum are returning for a signature high octane headline slot at Snowbombing 2018. Fusing pounding drum ‘n’ bass with a fierce live rock sound, few bands can produce the sheer energy that they do. Expect massive tunes like ‘Tarantula’, ‘Blood Sugar’, ‘Watercolour’, ‘Propane Nightmares’ and so many more, providing stand-out moments at the festival. Dubbed Grime’s first superstar, Dizzee Rascal shot to international fame with his debut album ‘Boy in da Corner’ in 2003. Since then, he has only got bigger and bigger, seeing huge pop success, a starring role in the Olympics and even a collaboration with Robbie Williams. In 2018 he returns to Snowbombing to send everyone in Mayrhofen truly ‘Bonkers’. As an undisputed legend of UK garage and RnB, few artists have had a comparable career to Craig David. Initially breaking through with Artful Dodger on ‘Re-Rewind’ and the roaring success of his debut LP ‘Born To Do It’, his huge recent chart-topping comeback album ‘Following My Intuition’ and collaborations with cutting edge new acts like Kaytranada have made him more relevant now than ever. Having started out as an exclusive pre-party in Miami at Craig David’s penthouse apartment, TS5 now comes to the slopes for a party like no other. With Craig’s voice, plus MCing and DJing abilities, his sets truly get the crowds going, with massive old skool anthems and current chart topping House hits. These headline names lead a carefully crafted line-up of exceptional music in all its forms, with sets across the slopes from Wilkinson, Skream, Dusky, Artwork, Heidi, Flava D, DJ Hype, Doorly, Waze & Odyssey, Mele, Monki, Camelphat, Denney, Jasper James & Latmun. 2017’s line up was always going to be a tough one to beat but, unsurprisingly, Snowbombing have already managed to knock it out the park (or ‘off the piste’) with the first wave of artists announced for 2018’s festival! Snowbombing provides the chance to party in unique locations including the Forest Stage, The Racket Club, The Pool Party, Spas & Saunas, Paragliding, Chairlift Speed-Dating, Cable Car-aoke, Alpine Yoga, Cable Car Raves, Ride & Seek, an award-winning Snow Park, Musical Bingo and The Snolympics. Visitors can eat authentic Austrian cuisine in the well-known, delicious restaurants, ride in style in Snow Limos or see the incredible sights of Mayrhofen from the skies whilst trying Paragliding, all with the opportunity to stay in incredible accommodation! From 5* spa luxury hotels with rooftop jacuzzis, chalets, pensions and apartments in the heart of central Mayrhofen to pocket friendly self catered apartments and cheaper options in the surrounding districts and the Zillertal Valley, Snowbombing has something for everyone. Serious skiers and beginner boarders alike are all encouraged to hit the slopes with 650km of piste and the 78° gradients of Austria’s steepest slope The Harikiri on hand for those feeling adventurous, plus lessons and plenty of beginner-friendly slopes to get to grips with for first timers. Black runs, blue runs, beer runs – there’s something for all abilities on Mayrhofen’s powdery peak district. Snowbombing has truly redefined winter sports holidays and shown what the ultimate alpine music festival looks and sounds like.